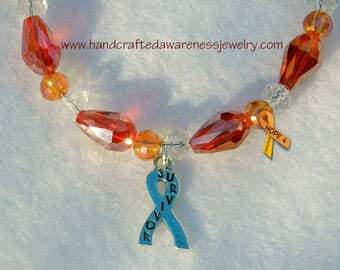 This RSD Awareness Bracelet is 7" long with a toggle clasp. 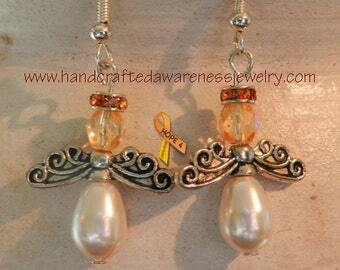 It is designed using Orange and white variations of Crystal, Ceramic and Czech glass beads. 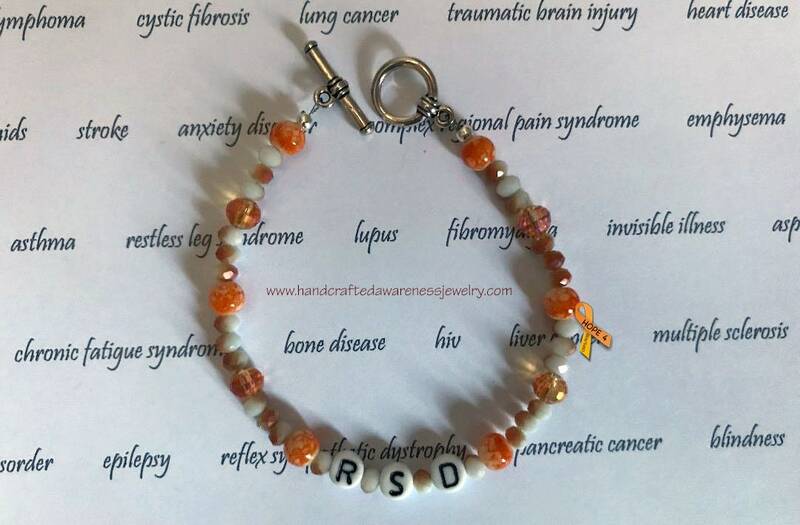 The RSD letters are acrylic. A little shimmery and sparkly with or without light. 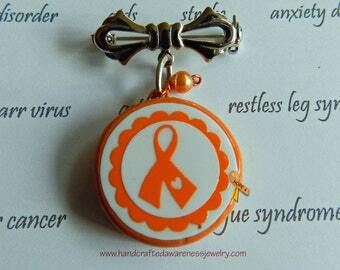 Perfect to spread RSD and/or CRPS awareness.